Your landing page just might be the most important thing you ever put online. …but without a proper landing page, you may never get the results you want. The landing page is the critical point in which your audience stops being mere readers—and starts converting from anonymous visitors into tangible leads for your business. In other words, it’s a pretty important place. That’s why it’s crucial not to have any blind spots when it comes to the quality of your landing page. How can you ensure you don’t have any blind spots? Well, you can do plenty of research. You can do lots of A/B testing. And you can keep trying new things to find out what’s most effective. Or you can read this little list of frequent landing page mistakes—and common blind spots—to make sure you aren’t suffering from the same. One of the top things loan officers and mortgage brokers don’t know about landing pages? Simple: it’s probably the single most important piece of real estate on your site. Bar none. Here’s all you need to know: a landing page is a portion of your website explicitly designed to take a user (someone “landing” on it) and convert them into a lead (through a call-to-action). Once you understand the importance of the landing page, your priorities are straight: you know exactly where your attention as a mortgage marketer need to be if you’re going to have the greatest possible impact online. Perhaps the most overlooked aspect of creating an effective landing page is discovering exactly what it is that you need your page to accomplish. The Lead-Generation Landing Page. This can be a simple “entry point” style landing page. It’s short, it’s sweet, and it’s directly to the point. It offers an incentive (i.e., “get your free instant quote now!”) and its goal is to convert someone into a lead. The form is built into the page on lead generation landing pages. 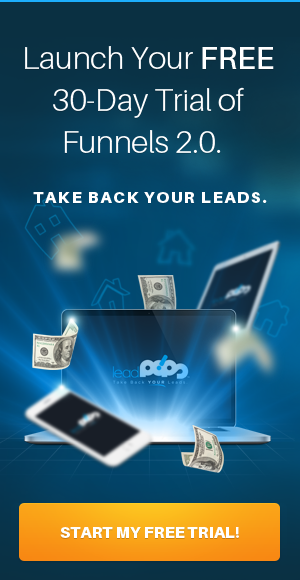 The Incentivized Lead-Generation Landing Page. If you have a mortgage calculator that needs to be “unlocked” through the call-to-action on your landing page, you would consider that page part of this category. It’s essentially the same as the landing page above, but includes a portion of your web presence removed as incentive for the potential client to click forward. Mobile Landing Page: You can create a sleek, simple mobile landing page that keeps it simple and to the point. This is one of the biggest blind spots for mortgage marketers who focus exclusively on desktop surfing success. Click-through Landing Pages. A click-through landing page is designed to be very simple—it might include a button that says “See if I qualify” along with an elaborate headline. This not only gets attention, but will ensure that a lead is serious about whether or not they want to take action with you by clicking through to the next step, which should include a “smart” form that collects additional information in a fun, interactive, gamified way. It’s important to know exactly what the goal of your landing page is, and to include incentives with strong call-to-action language to make it effective. You must have incentives for people to be willing to click through, after all. And those incentives matter. Even if the rest of your page does a good job at promoting trust in your services, getting someone to trust you enough to click through your landing page can be a different ordeal entirely. 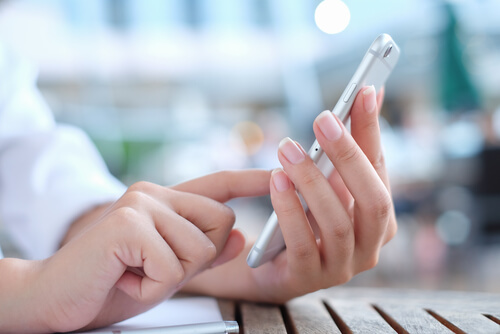 You’ll notice that all of these landing pages purposes share something in common: they both incentivize the audience to click forward and have the opportunity to capture something simple, such as a potential client email. That means that no matter which type of landing page you choose, you have to make sure that it includes at least these same elements if it’s going to be effective. When you hop on a new landing page, what’s the first thing you notice? The headline is important, absolutely. So is the first image. But I’m guessing the very first thing to make an impression is the color scheme. Landing pages have a little more wiggle-room when it comes to color eccentricity on the Internet. They’re allowed to be a little bolder, providing contrast from the usual Internet surfing that your audience engaging in. It’s about more than just bold colors. If you choose one bold color for your landing page, great…but how will your call to action stand out enough to be distinguished from the rest of the content? It’s important to capture attention with bold colors, sure. But you should also include contrasting colors so that the eyes are drawn to the right places (especially your CTA buttons). Guide the eye. Remember that color doesn’t exist in a vacuum. If everything on your page is green, then nothing is green. Use colors to guide the eye, including bold colors for elements like arrows and buttons—but don’t overdo it. You also need to use negative space and “dull” colors to provide that ever-important contrast. Finally, one of the most overlooked aspect of building up landing pages is not to do it at all. The truth is, it’s important to have landing pages designed to suit many needs. Your audience isn’t always looking for the same thing, after all. Unless you want to say, “mortgage services.” But that’s too vague to be any kind of incentive. In my book, The Mortgage Marketing Manifesto, I lay out several different landing page concepts and ideas that are designed to suit specific services that you offer. When it comes down to it: the mortgage landing pages, the better. You need a landing page for every campaign you create, and every type of client you want to go after. But that doesn’t have to mean that making more landing pages is always a chore. 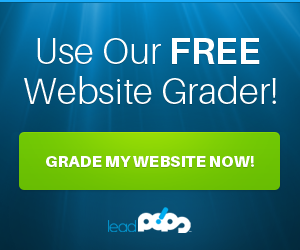 If you want to know more, be sure to sign up for a free trial of leadPops and find out how you can launch 32 landing pages that attract conversions in just minutes—and leave none of the blind spots on the table.